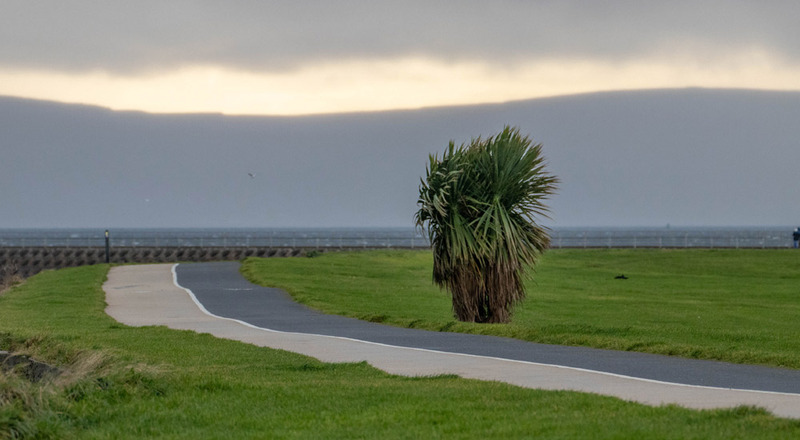 Galway Coach Outing - 11th November 2018. 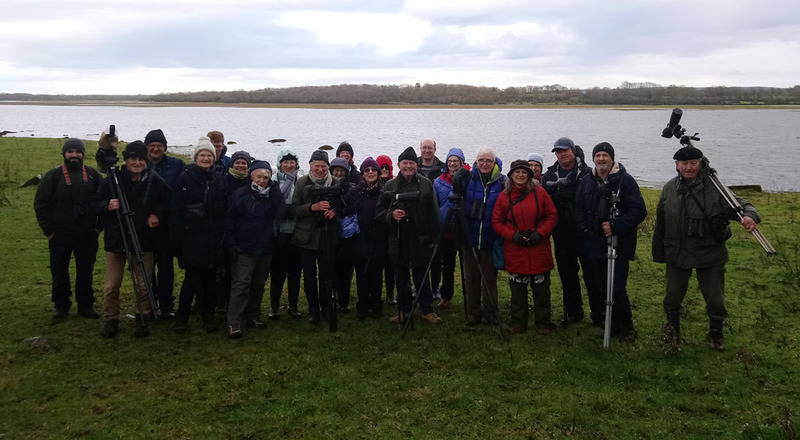 South Dublin members at Rahasane Turlough. Picture by Eleanor Keane. This autumn for a change, we reset our compass and went west to Galway for our November outing. The forecast, predicting a mostly dry day with a few showers and southwesterly wind, was accurate so no surprises on the weather front. On the journey west we saw some Redwing and Mistle Thrush from the bus and a lucky few had a Buzzard. Our first stop was at Rahasane Turlough, which is west of Craughwell in the southwest of the county. 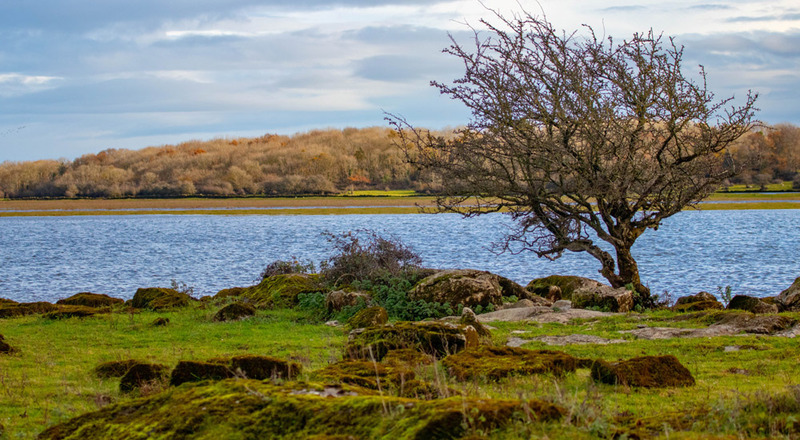 It is the largest surviving turlough in Ireland and for anyone who has forgotten their school geography a turlough is a karst lake, and they are virtually unique to Ireland with almost all of them west of the Shannon. Flooding occurs every autumn from water rising as springs through fissures in the underlying limestone, eventually draining come the springtime, often through the same fissures or swallow-holes. This turlough covers an area of 2.5km², is surrounded on all sides by rising land and its primary inflow is the Dunkellin River. Over 300 turloughs have been documented in Ireland and there is one in south Wales near Llandeilo also. 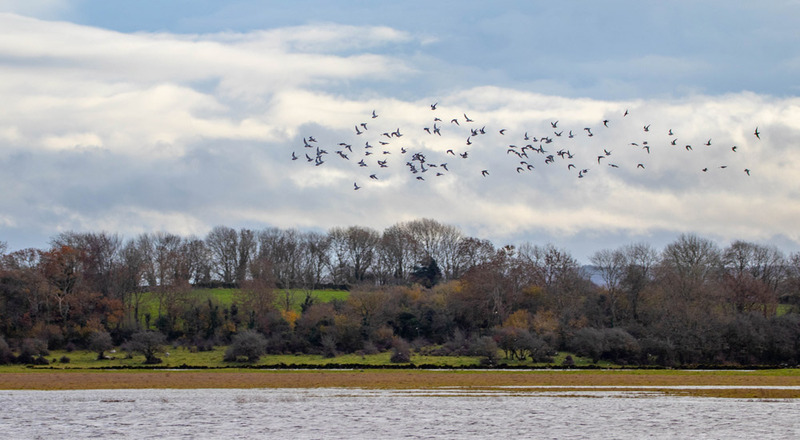 A flock of Golden Plover over Rahasane Turlough. Picture by Bill Rea. 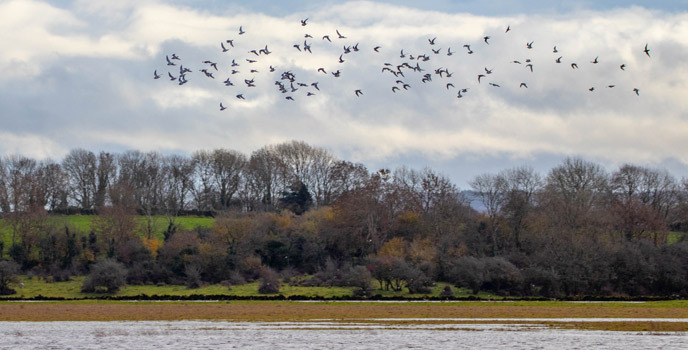 The lake is famous for its White-fronted Geese, Whooper Swans, Wigeon, Teal and many more species of duck and waders in winter. It is a most wonderful expanse of water and at first appeared devoid of birds but with the aid of optics soon many hundreds became apparent and we managed to see everything that was expected as well as some others not so commonplace. Amongst the 61 White-fronted Geese a single Pink-footed Goose stood out standing slightly apart from the flock, so easier for all to locate. Ten Whooper Swans in their snow white plumage were easily picked up out on the lake. 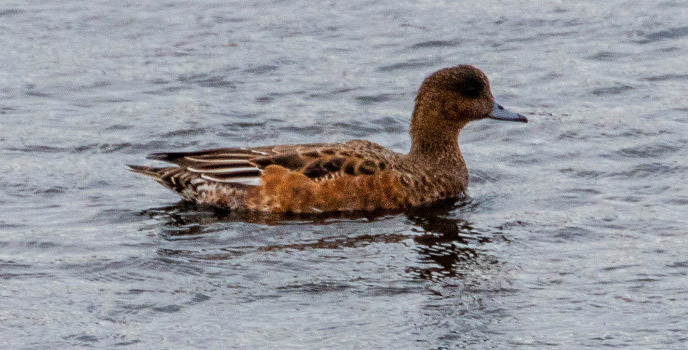 Thanks to the eagle eyes of Niall Hatch and Niall Keogh a single and very active Ruff was spotted as well as thirteen Dunlin, two pairs of Gadwall, ten Pintail and a good number of Shoveler. A distant Sparrowhawk and two Kestrel were also seen. A truly magnificent sight enjoyed by all was approximately 2,000 Golden Plover both on the ground and in flight. 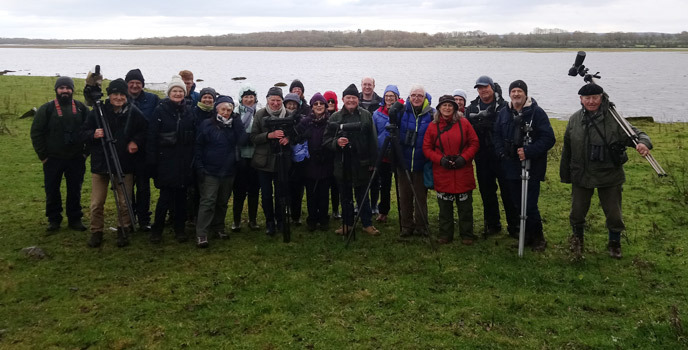 We walked along by the lake shore and saw some of our smaller birds, such as Dunnock, Wren, Bullfinch, Chaffinch, Meadow Pipit and Blackbird. 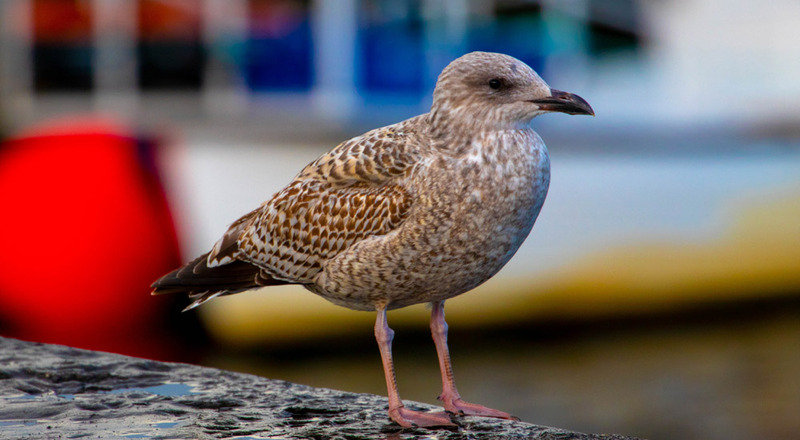 A juvenile Herring Gull posing on Nimmo's Pier. Picture by Bill Rea. We then proceeded to Galway City and Nimmo’s Pier where we took our lunch. Almost immediately a Ring-billed Gull turned up and hung around for some considerable time. 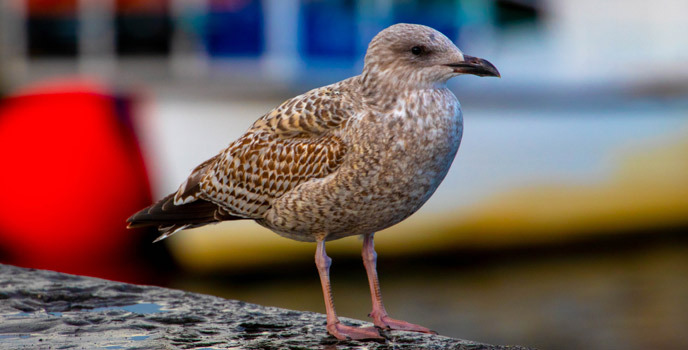 Also present were some Common Gulls, so we were able to 'compare and contrast' these similar gulls and note the distinguishing features of each. I expect never to be confused by either again either alone or together! 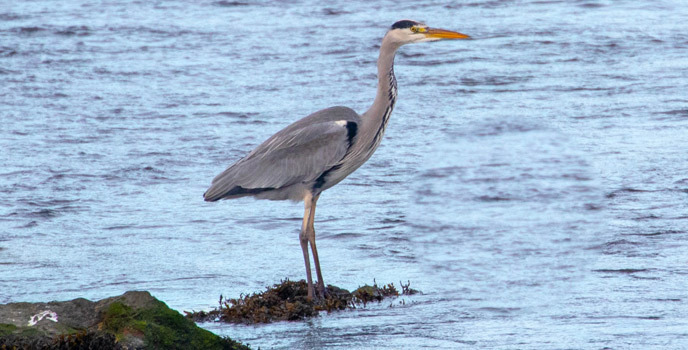 Also seen at Nimmo's was a lone Lesser Black-backed Gull, a few Great Black-backed Gulls, many Herring Gulls, Grey Heron, a solitary Moorhen, thirteen Turnstones, Cormorants and a small flock of Wigeon that kept us entertained. We noticed a rather small immature Swan with an odd coloured bill, which did not look quite right. Since our visit, Niall Keogh has investigated this bird and has been in touch to let us know it is most likely an underdeveloped juvenile Whooper Swan. 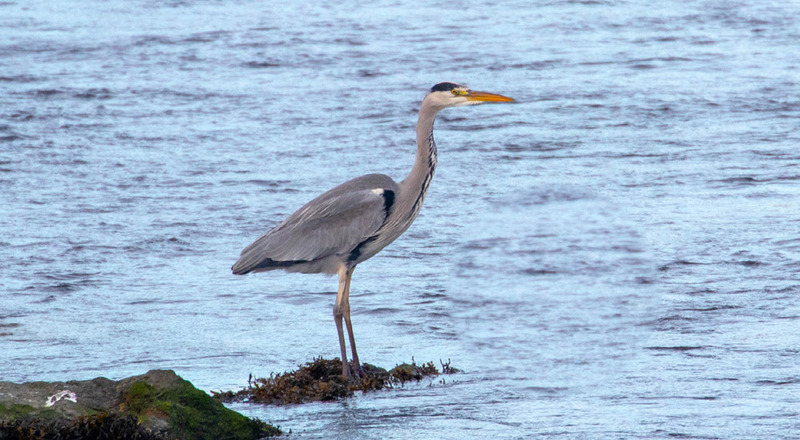 Grey Heron biding its time on the River Corrib, Galway. Picture by Bill Rea. We then made our way along the edge of South Park that is adjacent to the pier, which overlooks a shore line with some sandy areas interspersed with Wrack seaweed, an ideal feeding area for waders. Here we added Redshank, Bar-tailed Godwit, Oystercatcher and a distant Great Northern Diver to our list. Light mist became a squall of substance so we retreated to the coach back at the Pier. Just enough time for one last shout of Peregrine, which as it got closer turned out to be a Merlin in hot pursuit of a Ringed Plover. It was a brief but exhilarating last sighting on the day. 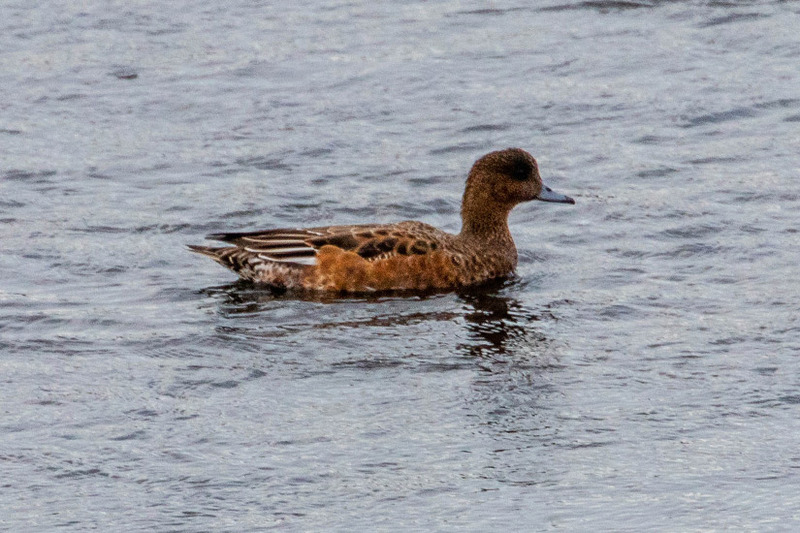 Female Wigeon swimming alongside Nimmo's Pier. Picture by Bill Rea. As a matter of interest to those who came on our Sligo weekends back in 2016 and again last March, the pier was built by the Scottish engineer Alexander Nimmo who also built the wonderful harbour at Mullaghmore where we stayed. 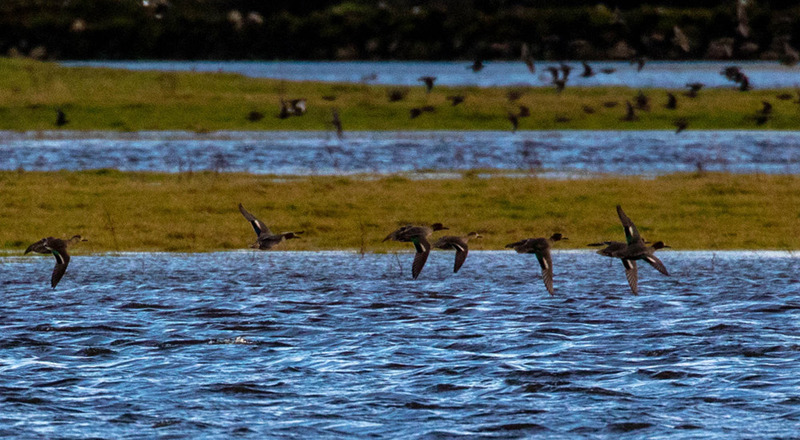 Pintail in flight over Rahasane Turlough, Galway. Picture by Bill Rea. 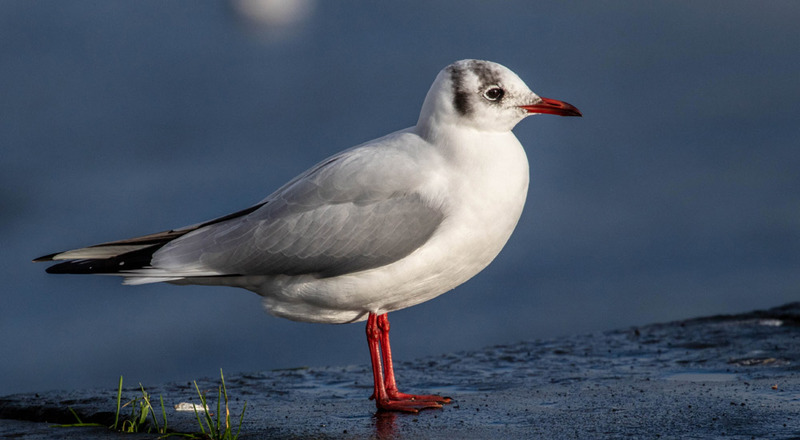 Adult Black-headed Gull at Nimmo's Pier. Picture by Bill Rea. 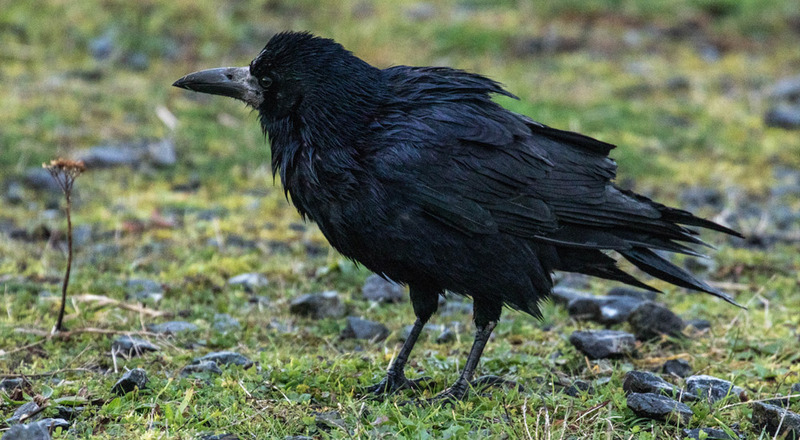 A rather bedraggled Rook in South Park, Galway. Picture by Bill Rea. A view of Rahasane Turlough. Picture by Bill Rea. South Park with the pier to Mutton Island in the background. Picture by Bill Rea. 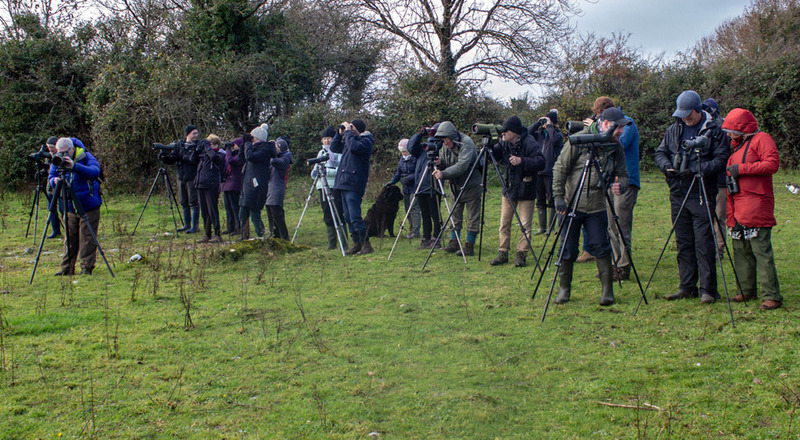 South Dublin members working those scopes at Rahasane Turlough. Picture by Bill Rea. Time for a group photo before the serious business begins. Picture by Bill Rea. After a very welcome comfort stop we headed back east having had a really enjoyable trip. 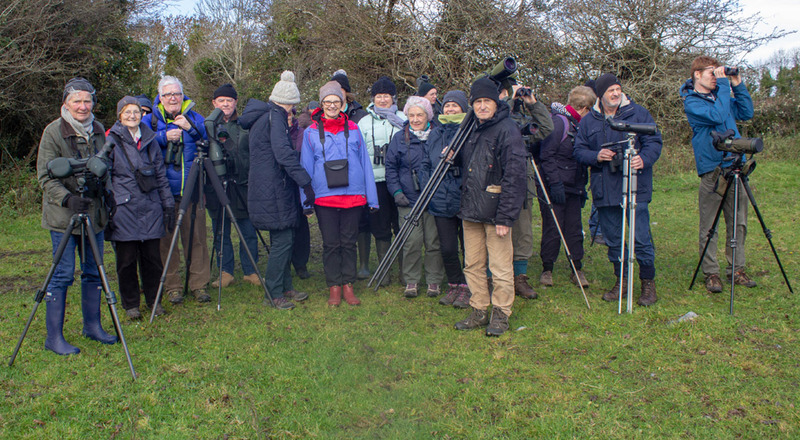 A total of 23 South Dublin members had come along, some of these for their first trip with us and we expect to welcome them again. The species count for the day was 59. Thanks to Bill Rea we got some great photos to give a flavour of the day.